I have a passion for agriculture and feeding the world. I am very excited to be joining H.J. Baker, a company with a rich history and known throughout the industry for its superior products and outstanding customer service. H. J. Baker & Bro., Inc. recently announced that Nicole Bartlett has joined the company as Director, Feed Management and Product Development. 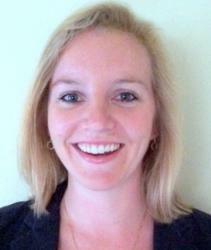 Ms. Bartlett has more than 7 years’ experience in marketing and public relations in the animal agriculture industry. Her previous responsibilities have included collaboration with feed mills, integrators and producers for personalized product campaigns; managing international brands; and contributing in the organization of multiple industry symposiums. She is a graduate from Western Kentucky University with Bachelor degrees in Public Relations and Agriculture. H.J. Baker & Bro., Inc. a name synonymous with quality in the feed, fertilizer and sulphur industries for more than 160 years. With more than 20 locations throughout the United States, Canada and Mexico, H.J. Baker has been mobilizing resources and providing outstanding products and services to the agriculture industry throughout the world. The company's strategically located processing plants, offices and warehouses create a super-efficient pipeline for the vital commodities and products that it sources, manufactures and markets. H.J. Baker & Bro., Inc. is headquartered in Westport, Connecticut USA. For more information on H.J. Baker & Bro., Inc. visit their website at http://www.bakerbro.com.